We are the newest pediatrics office serving the Hendersonville, Gallatin, and surrounding areas of Tennessee. Our provider, Dr Benitez-Brauer aka Dr. B, and staff, are proud and eager to serve the medical needs of your most precious ones - your children. We offer same day appointments for sick/urgent visits. We offer well-baby/well-child/well-adolescent check-ups for newborns up to 21 years of age; immunization/vaccination; hearing and vision screening; ADHD/ADD and other behavioral and school-related problem evaluations; same day sports physicals and pre-op physicals. We also perform minor wound repair, wound care and skin care. We are now accepting new patients. 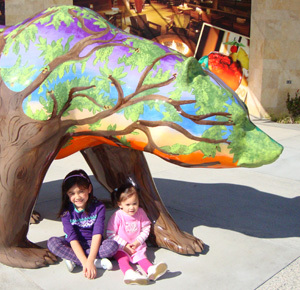 Our goal is to make your child's visit to the doctor as pleasant and fun as possible. We know your time is very important so we aim to make your waiting time in our reception area quick and short whenever possible. You can download patient registration forms, print, fill them up and bring to your next visit to speed up the check-in process. Come visit us at our newly-renovated office along East Main Street/Johnny Cash Parkway in Hendersonville and meet our friendly and competent staff. 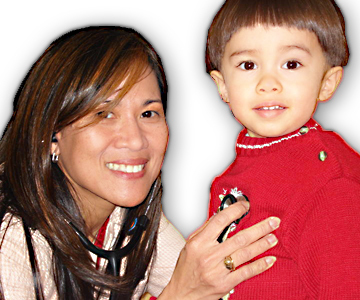 We want our medical office to be your child's medical home, where "The Doctor is Always Ready to See you".